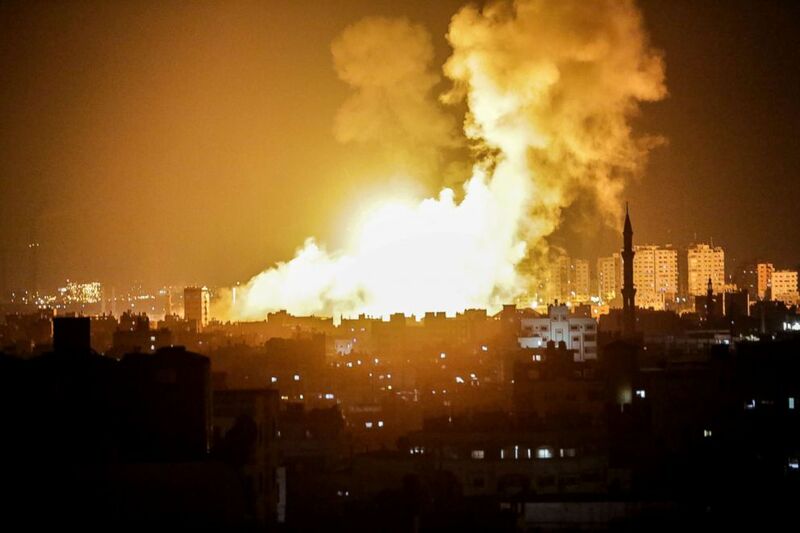 Israeli airstrikes have killed at least three people, including a pregnant mother and her 18-month-old child, after the Israeli military and Hamas traded fire overnight and into Thursday afternoon, the Gaza Health Ministry reported. 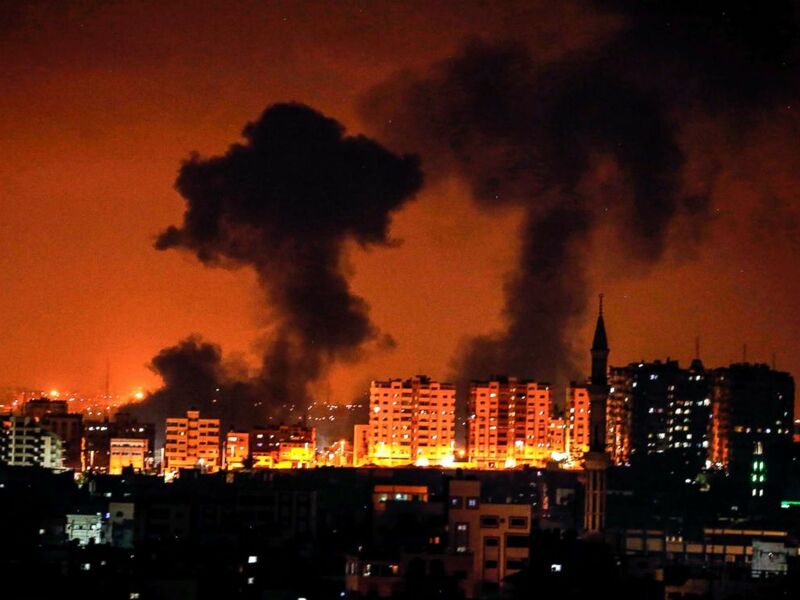 Israeli Prime Minister Benjamin Netanyahu’s security cabinet said in a statement late Thursday that it had directed the Israeli military “to continue taking strong action” against militants in Gaza. 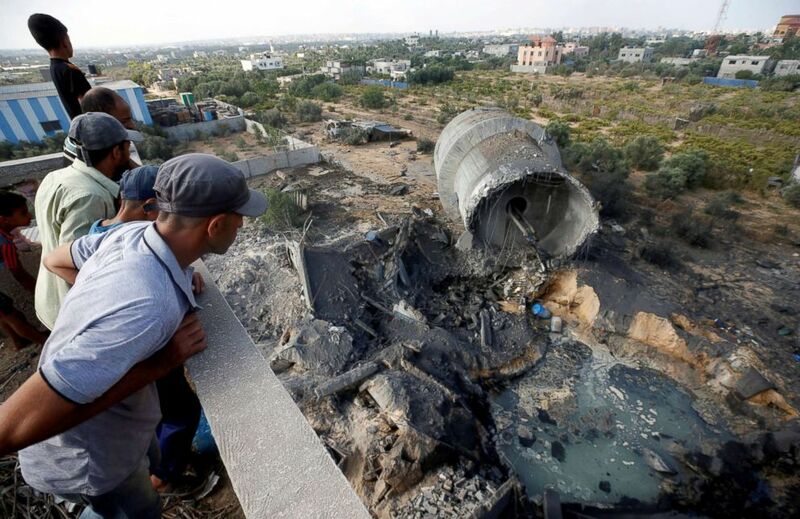 “Among the sites targeted were a weapons manufacturing and a storage facility, a complex used for the Hamas’ naval force and a military compound used for rocket launching experiments,” the Israeli military said in a statement. “This is a blatant crime and Israel is responsible for it,” he added. In a statement Thursday morning, the UN Special Coordinator for the Middle East Peace Process Nickolay Mladenov said he was “deeply alarmed” by the flare-up. 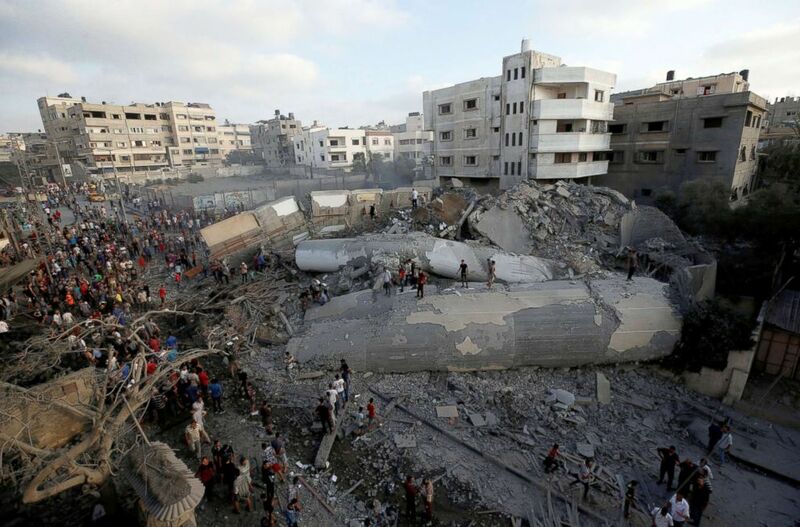 Palestinians gather around a building after it was bombed by an Israeli aircraft, in Gaza City, Aug. 9, 2018. Palestinians look at damage at the site of an Israeli air strike in Al-Mughraqa on the outskirts of Gaza City, Aug. 9, 2018. 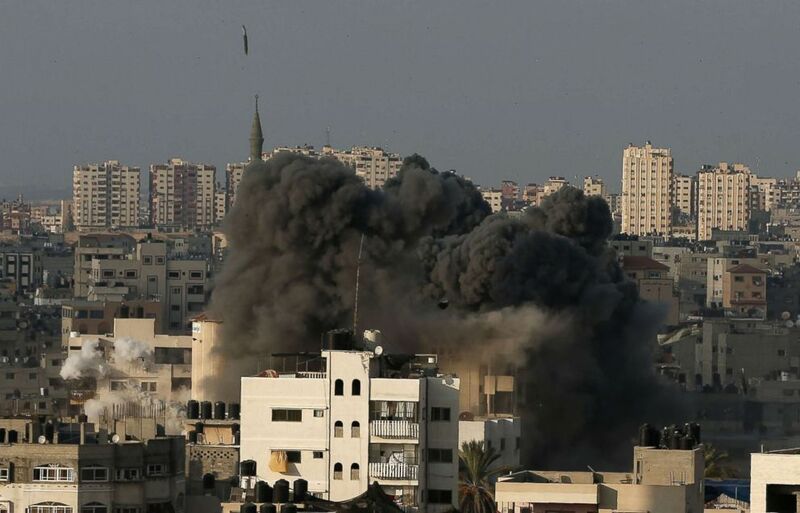 Smoke rises following Israeli air strikes on Hamas sites in Gaza City, Aug. 8, 2018. End of the line for Hay’et Tahrir al-Sham in Syria?